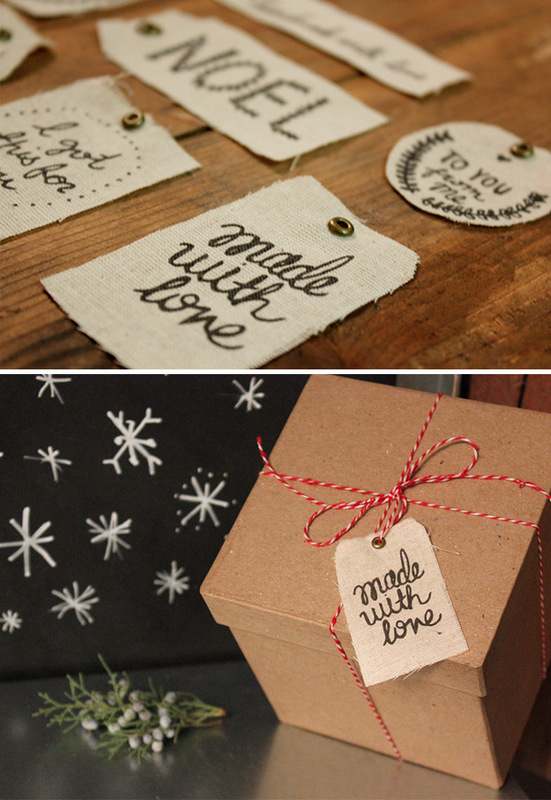 Alright it's November so naturally it's time to start thinking about Christmas! 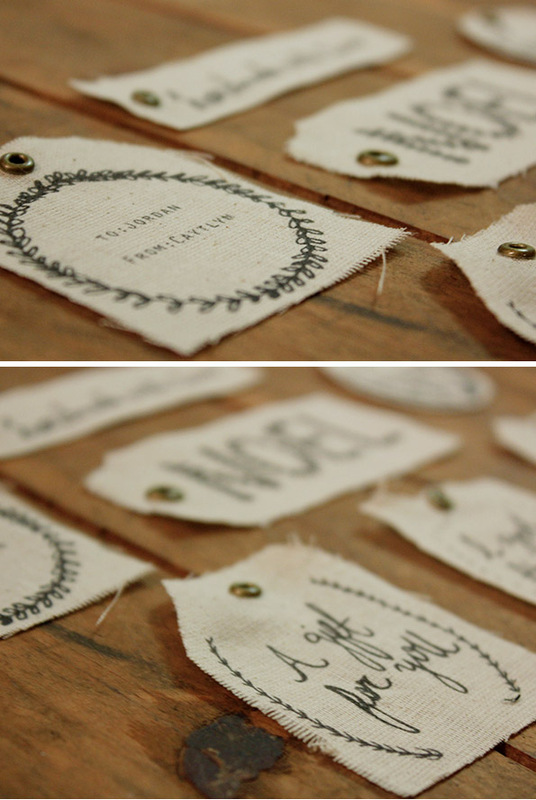 As you know I am kind of obsessed with printing on fabric...so here is a great holiday idea, print your own fabric gift tags! 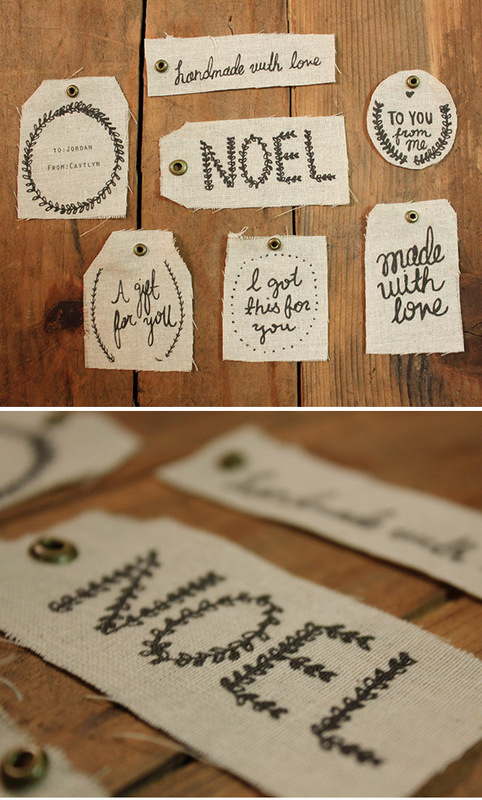 if not you can just use a hole punch and add string. 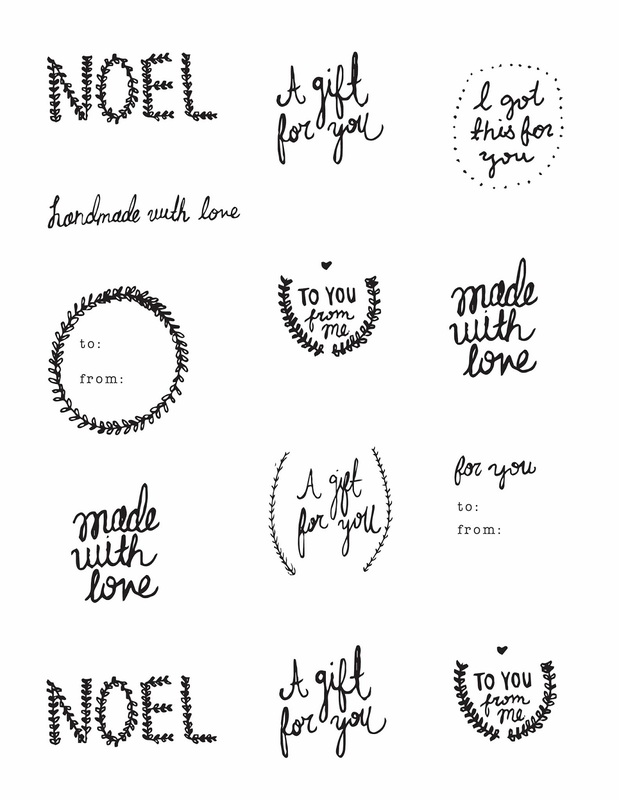 • Cut down to 8.5" x 11"
• Wrap gift and add your lovely tag! Hi! Can you clarify the printing with the freezer paper attached? Is the printing going on the freezer paper side, or on the fabric side? I'm not clear if the freezer paper is so you print on it, or if it just gives the fabric enough stability to go through the printer? Hi - I love your tags idea! Can you clarify about the freezer paper? Is it just used to add stability to the fabric so it can go through the printer? I'm assuming you print on the fabric side, so I'm trying to figure out what the paper is for. And do you leave it on after you print, or tear it off? Thanks so much!! Sorry, the freezer paper is just for stability, you will be printing directly to the fabric side. Hope this helps, also yes you tear the paper off the back of the fabric once you're done printing. I like to spray scotch guard over the fabric when I'm done as well, this helps the ink to stay on the fabric.